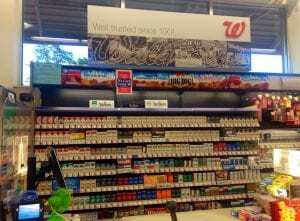 Walgreens has come under fire for a pattern of illegal tobacco sales to minors, with a whopping 22% of FDA-inspected Walgreens found to be violating the tobacco sale laws. Since 2010, Walgreens has received 1,550 warning letters from the FDA and 240 financial penalties for selling tobacco to minors. A study in JAMA Pediatrics found their violation history to be higher than any other chain pharmacy, even after adjusting for local demographics and state tobacco laws. Read more here.